The East London Liquor Company is a beautiful venue with a great pedigree. Located in the historical Bow Warf, they transformed an old glue factory into a gin distillery where you can drink glam delicious cocktails (with home made gin, of course!) and nice food. Don’t be alarmed by the fact that it’s buried in a small industrial park beside the canal, the place is a gem! It is best to seek advice from the bartenders who are truly passioned and will be delighted to guide you. You can for sure grab a beer but going there and not try their Negroni or Autumn Wood would be a shame. The Crown is a two-floored pub with beer garden, outdoor terraces and quirky, vintage-inspired styling. You will love the over-view on the park in both winter and summer. Their staff is friendly and will make you feel welcomed. 10 minutes away from Mile End station, the pub faces the entrance of Victoria Park and it’s a good way to take a break from the city. Go there for the view and the atmosphere, grab some ales and/or a glass of wine, a cup of fries and here you go! In the heart of Victoria Park Village The Fish House is an affordable place to eat a casual fish and chip. Most locals opt for carry-outs, but if you choose the restaurant you’ll get a more creative menu, where mains of grilled swordfish with a fragrant salsa, or pan-fried hake fillet with chorizo and butter beans, could precede a classic English pud (banana split, bread and butter pudding). You can’t go wrong with fish from the white-tiled takeaway section; choose from cod, scampi, haddock, rock, plaice or skate, generously battered and deep-fried. Ariana is a truly charming restaurant offering a wide range of delicious traditional Persian and Afghan dishes. The restaurant is in the centre of Mile End, and Ariana’s terrace is seating right in Mile End Park. It’s definitely the to go place for an exclusive relaxed lunch. I always recommend that restaurant to our guest eager to try asian food (away from the crowd) and remind them to order some home made bread on side (don’t miss it!). Their menu will provide you generous proportion for a really affordable price. So far I can’t remember anyone who was not totally pleased by their cuisine. Hidden gem in East London! 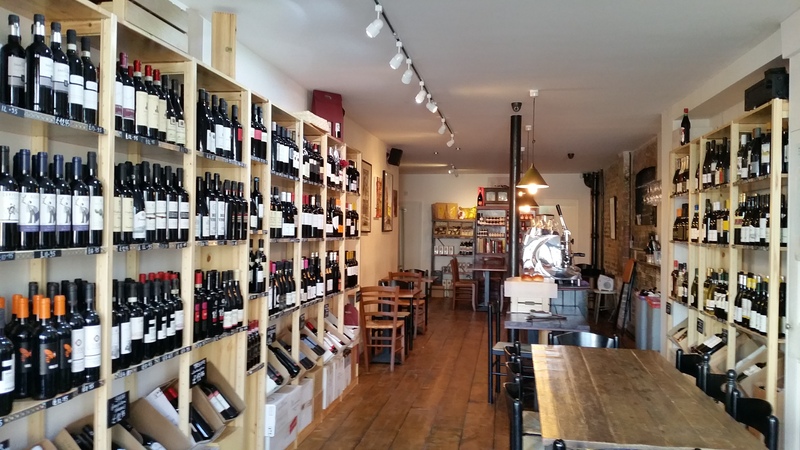 Roman Road Market can seem a bit gloomy, especially when it comes to nightlife – but Vinarius is truly outstanding. It not only is a place for great wine, which are all reasonably priced, it also has fantastic food with an excellent chef who often changes the menu. Generally four whites and four reds by the glass and a huge range to take home or enjoy in store. Their staff is attentive and will know how to advise you. From Spain, Italy or France their wine selection will make you travel.